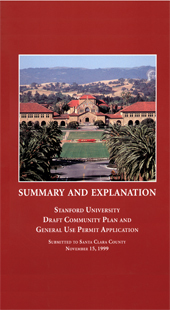 Assisted Stanford planning staff in preparing the revised Community Plan and General Use Permit Application for consideration and approval by the Santa Clara County Planning Commission and Board of Supervisors. An amendment to the Santa Clara County General Plan, the Community Plan outlines strategies, policies, and implementation strategies for growth and development, land use, housing, circulation, open space, resource conservation, and health and safety. The planning process included a series of community workshops. 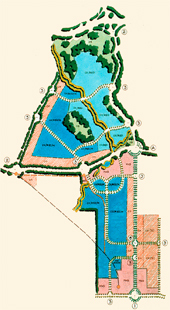 Updated the land use plan for the research park. The plan identifies areas for expansion and increased density. Transportation improvements and competitive amenities such as retail and restaurant facilities, a hotel and conference center, and landscape improvements are included in the updated plan. 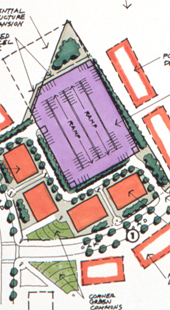 Analyzed potential sites for parking structures and surface lots, providing information on site features, site feasibility, parking and circulation concepts, and associated costs. Subsequently, undertook a parking implementation study for the university.